If you are like millions of other Americans, you suffer from Celiac disease. When you have Celiac disease and you eat gluten, your immune system responds by damaging villi, which are the tiny, fingerlike protrusions lining your small intestine. Villi help you absorb nutrients from food into your bloodstream through the walls of your small intestine. You can become malnourished without villi, no matter how much food you eat. The rate of Celiac disease is skyrocketing. According to a June 2014 article by the Celiac Disease Foundation, the rate of this intestinal disorder has increased up to four times in just the past 50 years. Gluten is a protein commonly found in grains, especially wheat, rye and barley. Gluten may also be present in everyday products, such as lip balm, medicine and vitamins. People with Celiac disease need to be on a gluten intolerance diet. The Paleo Diet plan focuses on foods natural to the human diet, which was anything that humans could hunt or find. 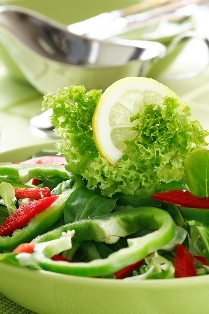 The Paleo Diet plan includes meats, fish, nuts, leafy greens, regional veggies, and seeds. Scientists now know the Paleo Diet plan is beneficial for people with Celiac disease because those foods do not stimulate the immune response that can be so damaging to the small intestine. Furthermore, the Paleo Diet plan provides the nourishment your body needs to function at its peak performance. Dr. Bonde of Birmingham Wellness Center is an advocate and educator of the Paleo Diet plan. She can provide organized meal plans, recipes, success strategies, videos, and more to get you started on the Paleo Diet plan as part of a holistic wellness approach. You will start with the 30-Day Reset that heals your small intestine and helps you transition to lifelong health using the Paleo Diet plan. The 30-Day Reset detoxifies your body from grains, sugar and dairy. In addition, the 30-Day Reset heals your gut, boosts your immune system and quashes food intolerance. As an added benefit, the 30-Day Reset regulates hormones, optimizes the way your body burns fat, improves sleep patterns and boosts energy levels. The reset lasts for 30 days because your intestines need at least 21 days to regenerate new, healthy cells and reduce inflammation. Thirty days is just about the right amount of time to give your body the primal foods it needs to flush out toxins and regenerate new cells. Furthermore, it takes about a month to change habits, quiet cravings and increase awareness about food content and intake habits. Make an appointment with Dr. Bonde at Birmingham Wellness Center today to learn you can begin to control your symptoms of Celiac disease with the Paleo Diet and Celiac disease treatment tomorrow. You and your body will be glad you started your gluten free diet plan.